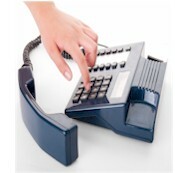 Phone Equipment Provider Directory - Telephone Equipment and Phone System Providers. Are you looking for a phone equipment providers? If you are a phone equipment or telephone system provider and would like your website included in this directory, please use our Submit Phone Service Website form. It's FREE and simple to add your website. The following is a list of organizations that according to their website descriptions provide phone equipment or telephone systems. Database Systems Corp. is not affiliated with any of these organizations nor does it promote or endorse the products and services of these companies. These websites promote various types of phone systems or phone services including long distance service, local phone service, voip services and various telecom service, etc. Our "Smart" business phone systems are state-of-the-art PC based systems that handle inbound and outbound phone calls for businesses. Outbound calls are initiated by our telephone dialer or calls can be accepted from the outside and distributed in an intelligent fashion to your employees using ACD systems. Developed with industry standard components (Dialogic, Intel, and Windows), our business phone system has features and functions that can only be found in large scale PBX�s, but at a fraction of the cost. Business Phones Direct is the largest internet based supplier of Business Phone Equipment including both Systems and Telephones. We stock equipment by Nortel (Norstar) including Meridian Series, Avaya / Lucent / AT&T, Tie / Nitsuko, and other prominent manufacturers. Chicago Telecom Supply and our business partners have built a reputation on vendor independence, flexibility, and experience. We have the ability to tailor reconditioned telecommunications equipment to meet specialized needs. Along with the assistance of our trained installations crews, we provides a broad range of technical services including system design, equipment implementation and system turn-up support. Turnkey Solutions and system de-installation management is also available. Cisco Intelligent Contact Management (ICM) Enterprise and Cisco IP Contact Center (IPCC) Enterprise enable companies to deploy a complete network-to-desktop CTI strategy, including comprehensive functionality at the agent�s workstation via Cisco CTI Option (formerly Cisco Computer Telephony Integration). These contact center solutions deliver a uniquely rich set of data to business applications, providing enterprise-wide call-event and customer-profile information to a targeted agent�s desktop. This comprehensive CTI strategy enables the full utilization of corporate data in support of business rules and objectives at the point of customer contact. Cothern Computer Systems, Inc. has been an IBM premier partner since 1983, and has performed numerous projects for IBM. Cothern has clients worldwide, including many fortune 500 corporations and hundreds of other organizations. For over 20 years, Davissa Telephone Systems has offered state of the art communications equipment, backed by the finest service in Northeastern Ohio. Our business has been built primarily on word of mouth from all of our loyal customers. At Davissa, you're not just a customer number. Find out why our customers are our best sales people! First Tech Buys and Sells, New, Used and Refurbished Telecommunications Equipment. If you are looking for a way to maximize the return on your telecommunications equipment investment then First Tech is the answer. We specialize in helping you effectively source and sell new, used and refurbished equipment often at 90% off the original manufacturer�s price and 40 � 60% below our competitors. Hi-Line Supply Wholesales business telephone systems and equipment from the top manufacturers in the telecommunications industry. We sell brands such as Nortel Norstar, Nortel Meridian, NEC, Toshiba, Avaya, Partner, Win Communications, Vodavi, Comdial, Intertel, Lucent, Trillium, Nitsuko, TIE and many more. Hi-Line also repairs business telephones, voicemail systems and circuit boards. If you have old telephone system or equipment that you need refurbished call us now and we can help. If you would like to trade in that old system for a new one let us know Hi-Line also buys used business telephone systems and telephone equipment. Lane Communications & Network Services Inc.,is a leading provider of wired and wireless phone systems. We specialize in business phones and business phone systems for home offices and small to large companies. We have solutions for all budgets and business sizes along with Free Technical Support and Free Ground Shipping on most products. Portsmouth Communications only offer IP telephony equipment that provides fantastic communications functionality and service for any office environment. The Avaya IP telephony equipment we offer all provides the latest features and unsurpassed durability and reliability. In addition to supplying, installing and providing support for Avaya computer telephony systems, Portsmouth Communications also provide auxilliary services including cabling and network installation, which are specifically designed to minimise reliance on multiple contractors. This provides your business with increased operator efficiency, improved ROI and confidence in results. 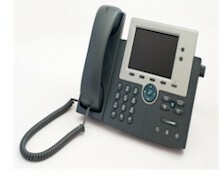 To buy corporate or office phone systems, look no further than startechtel.com. We sell warrantied phone systems from many manufacturers. Startechtel.com is a telecommunications equipment provider that does not itself install, program, or maintain systems (except Southern California). In your area are local technicians who we put you in contact with to do this work if needed. If you need Installation, wiring, programming or maintenance along with the purchase of this equipment, please contact and notify your salesperson. Coming soon, Startechtel.com will have a searchable database of technicians in your area that you could contact to satisfy all your installation and maintenance needs. TalkSwitch is a new-breed, all-in-one phone system designed specifically for businesses with 1 to 32 phone users per location. Its big-company features and intelligent capabilities work right out of the box and are a snap to customize. But TalkSwitch is more than just a PBX telephone system; it integrates standard analog telephones, fax machines, cellular and offsite phones with the traditional telephone network and the Internet for VoIP (Voice over IP). TalkSwitch delivers a world of connections, easy configurability and unprecedented prices. And that's revolutionary. TWAcomm.com, Inc. is a leading provider of phone systems. We specialize in business phones and business phone systems for small to large companies; with phone systems for any application. All orders, small or large, are welcomed with no minimum order requirements.